Okeechobee Music & Arts Festival returns to Sunshine Grove in Okeechobee, Florida for its third year this March 1-5, 2018. The star-studded lineup includes headliners Arcade Fire, Bassnectar (two sets with a special full moon beach set), Halsey, and Travis Scott, as well as Khalid, Foster the People, Leon Bridges, The Flaming Lips, Zeds Dead, Slightly Stoopid, Tipper, Big Gigantic, STS9, Local Natives, Gramatik, Illenium, Blackbear, Thievery Corporation, Tycho, Sylvan Esso, Judah & The Lion, Kyle, Misterwives, Sofi Tukker, Magic!, Lettuce, Billie Eilish, Ganja White Night (Live Set) B2B Boogie T and Dirt Monkey, Jai Wolf, G Jones, Big Wild, Denzel Curry, Pouya, Quinn XCII, Allah-Las, Nightmares on Wax (Live Band), Twiddle, and many more. As usual, Okeechobee will feature a PoWoW! Superstar Mashup set, consisting of many of the aforementioned artists. This is just the first phase of artist announcements, so expect more artists to be announced in the coming months. A range of ticket options are currently available for purchase from the ticketing website. Gem & Jam Festival has announced it will be returning to Pima County Fairgrounds for a second straight year, January 25 – 28, 2018. Coming off a transitional year, which saw the fan favorite festival move from Downtown Tucson to a venue that offered a desert setting with expanded amenities including camping, the twelfth annual event will expanding its offerings, which of course will include a bigger lineup. Previously editions of Gem & Jam have featured such acts as: Gramatik; Mike Gordon; The Floozies; Lotus; The Trancident; Kyle Hollingsworth; EOTO & Friends; G Jones; The Infamous Stringdusters; Poolside; Com Truise; Steve Kimock & Friends; Opiuo; The Motet., amongst others. The first round of performers for the 2018 lineup will be announced in the coming months. 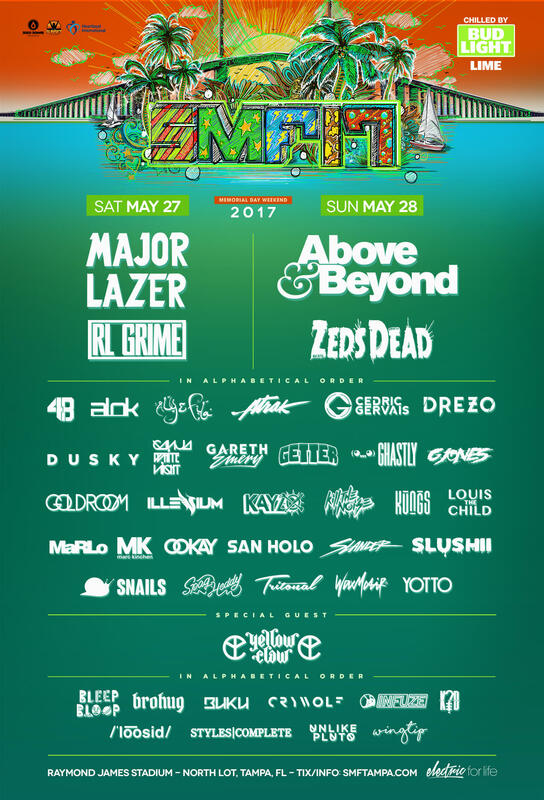 Sunset Music Festival takes places this Memorial Day Weekend at Raymond James Stadium in Tampa, FL, May 27-28, 2017. If you haven’t purchased tickets yet, single-day and weekend GA passes are still available, however, VIP passes are now sold out. As you gear up for Sunset Music Festival, check out some of the artists we are excited to see. A multi-instrumentalist originally from Massachusetts, Josh Legg is an LA-based songwriter and producer performing under the alias Goldroom. He credits his inspiration to his childhood, where he spent countless hours sailing around New England with his dad, listening to music. As a result, his style is serene, yet energetic. He performs on Sunday, May 29 from 11:00PM-12:00AM at the Horizon Stage. This duo hailing from London began performing under the name Dusky in 2011. Since first breaking into the underground UK music scene, the duo has pushed their sound forward, becoming a household name. Their wide-ranging musical influences include everything from Polish orchestral music, to soulful jazz, French house, and everything in between. They perform Sunday, May 29 from 9:30-10:45PM at the Horizon Stage. This California native has been crushing the bass music scene lately, having opened for and collaborated with artists like Bassnectar. He credits his growth and influence to the bustling music scene of the internet. His style can be described as dark genre-bending bass music. G Jones plays on Saturday May 28 from 7:30-8:30PM at the Eclipse Stage. This talented artist from Helsinki, Finland has music in his blood, having started his musical career at the age of 12. The son of an ex-rocker, he grew up listening to blues, classic rock, and disco. He lists his inspirations as artists like Moby, The Chemical Brothers, John Digweed, Royksopp, and more. Yotto will be playing on Sunday, May 29 from 7:00-8:15PM on the Horizon Stage. This Dutch songwriter/producer refined his craft at Rotterdam University, where he studied guitar and music production. In addition to his San Holo music, Sander van Dijck also runs the record label and artist project, bitbird. 26-year-old San Holo has been injecting the dance world with his unique brand of uplifting music. He will be performing Saturday, May 28 from 6:30-7:30 at the Eclipse Stage. While we’re particularly excited to catch these five artists, Sunset Music Festival features a full lineup of great musical talent that you don’t want to miss. As you prepare for the festival, make sure to check out the festival guide, wristband information, and schedule. Sunset Music Festival returns to Raymond James Stadium in Tampa, FL this May 27-28, 2017. 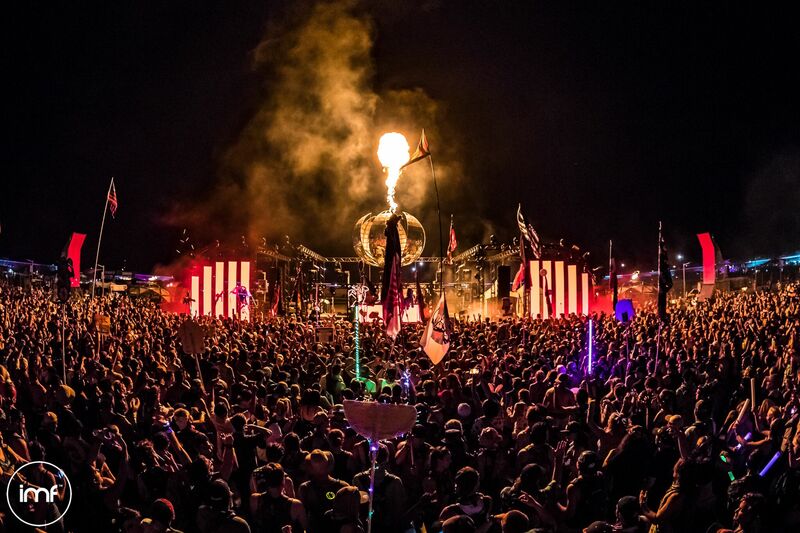 The lineup includes artists like Major Lazer, RL Grime, Above & Beyond, Zeds Dead, Cedric Gervais, Dusky, Gareth Emery, G Jones, San Holo, MaRLo, Slander, SNAILS, Aly & Fila, Kill the Noise, Louis the Child, Yellow Claw, and many more. Tickets are currently available with 2-day GA tickets going for $159.95 (plus fees) and 2-day VIP tickets for $259.95 (plus fees). Included on the ticketing website are various other merchandise and offers, including locker rentals. 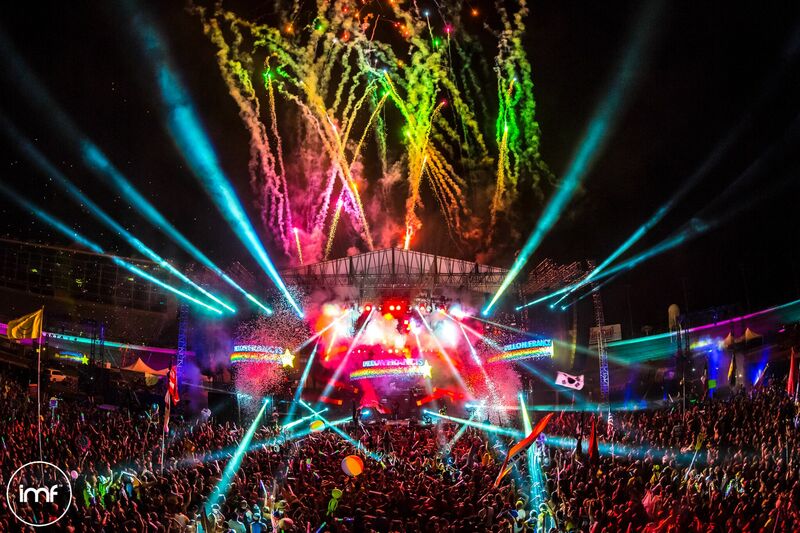 Make sure to also check out SMF’s info pages, including their guide, safety, and location information.